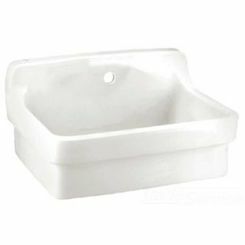 American Standard 9061.250.020 Plaster Work Sink, White. 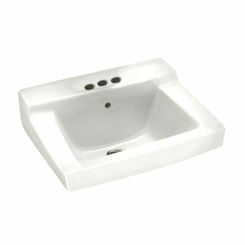 Size : 18-1/2" x 17"
At PlumbersStock, we offer a large selection of commercial-grade sinks. 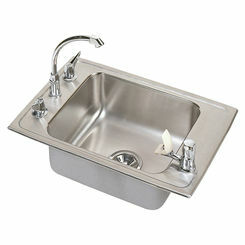 All of our sinks (Elkay, American Standard, Sloan, etc.) 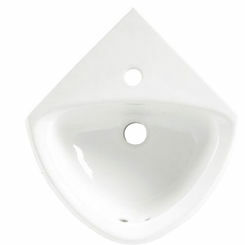 are created with high quality material required by commercial plumbing applications. We have the lowest prices on the web. 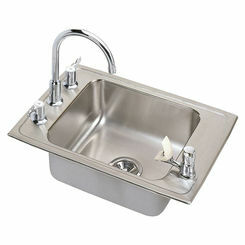 Don't forget to get a matching commercial faucet to go along with your new sink. 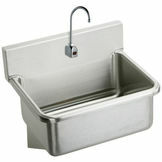 Save even more at PlumbersStock by taking advantage of bulk shipping options. 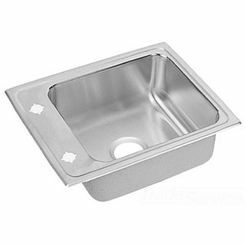 You probably know that commercial sinks come in many different shapes and sizes, but most commonly are made with stainless steel. 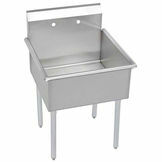 This anti-corrosive element will help ensure that the workplace is safe, helping guarantee that food preparation surfaces are kept clean and hygienic. 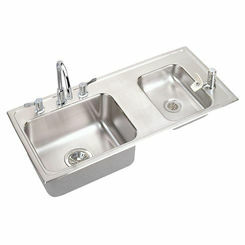 Stainless steel commercial sinks are less likely to be worn and broken down. 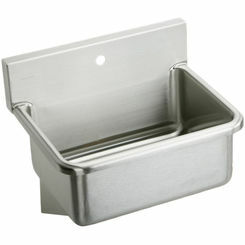 The steel will protect against wear and tear, and they are relatively easy to keep clean. 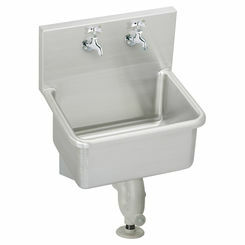 We carry a variety of classroom fountain and double-bowl fountain sinks, both offering unique styles and different attributes to benefit the classroom. These commercial sinks are usually made with stainless steel, ensuring durability. 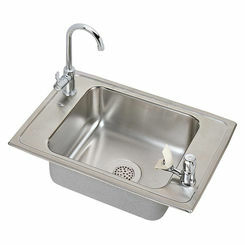 Having the fountain sink in the classroom can help to keep the classroom clean, especially after doing art or science projects. Students who have glue and glitter all over their hands and up their arms can now just go to the back of the classroom and clean off instead of dragging it through the halls getting it on the floor and other students. This type of commercial sink will also help the teacher to keep the students in the classroom with less distraction. 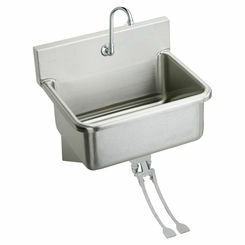 The double-bowl offers a bubbler on one side and a faucet is on the other. Simultaneously one student can have a drink while the other one cleans up. Scullery sinks are frequently used because of their durable design and functionality. This type typically has a backsplash with a deep basin, which is good for cleaning dishes and keeping the water from splashing out. 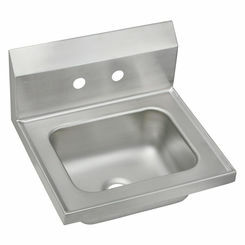 The scullery also has a drain board on at least one of its sides to drain juices into the sink. This will help avoid those sticky messes that inevitably arise with the kind of food and dirty dish traffic you typically see with a commercial sink. We offer solutions for your public restroom as well. 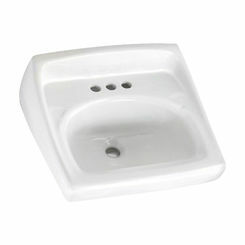 Buy commercial lavatory sinks that are built to last and withstand heavy usage for years to come. 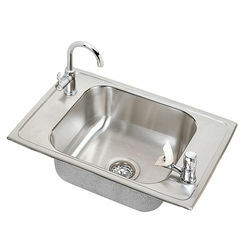 Each industrial sink is different but they are all durable. They are built to withstand stains, corrosion, even messes from kids. 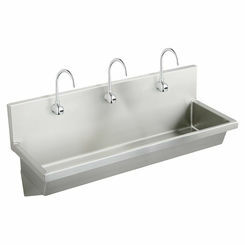 Commercial sinks are constructed and designed by the same trusted manufacturers that you have come to know. 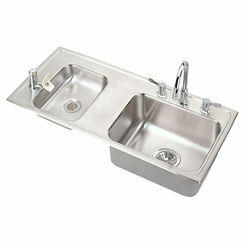 Whether this sink is for your business or for your home, here at PlumbersStock we are devoted to providing you with the best service to find the perfect product.